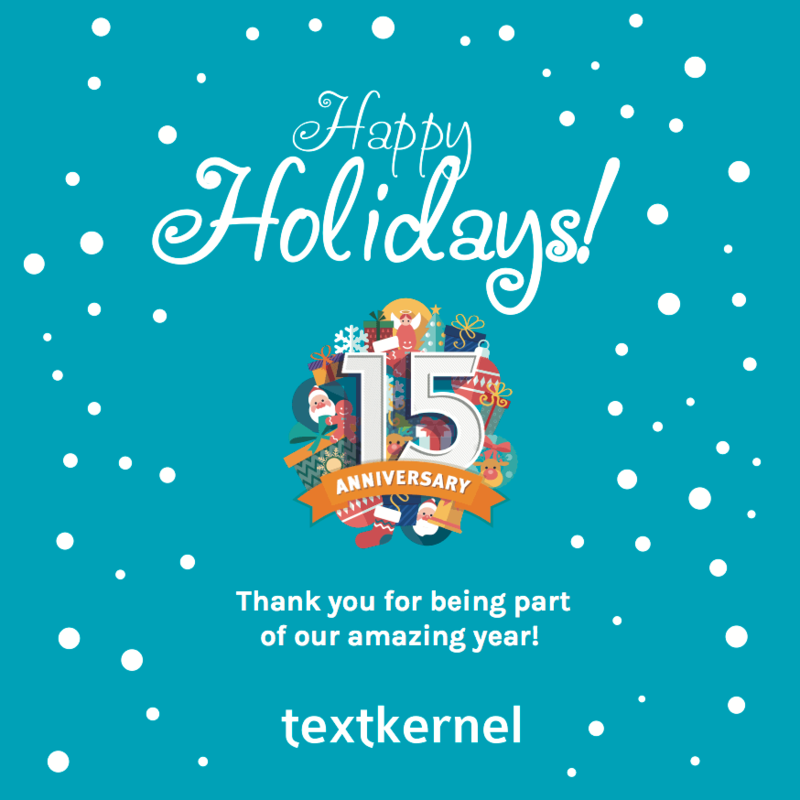 Textkernel is proudly looking back at an exceptional year of record growth and global expansion, especially in the US market. 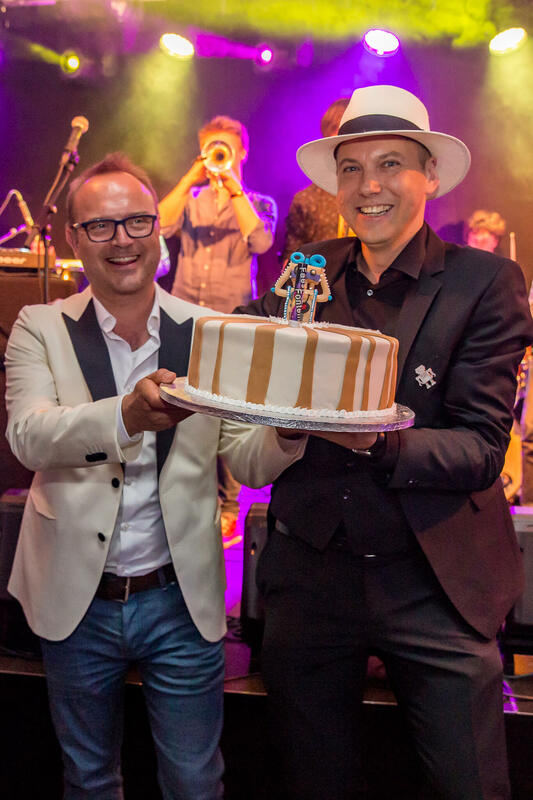 It was also the year of Textkernel’s 15th anniversary, which we celebrated in style. Let’s take a look at the key events that made 2016 such a successful year. To celebrate the company’s 15th anniversary, Textkernel organised the international conference Intelligent Machines and the Future of Recruitment to discuss the impact of AI, Big Data and semantic technologies on the labour market, talent acquisition and the way we work. The event took place at the Beurs van Berlage, the historic stock exchange building in the heart of Amsterdam. 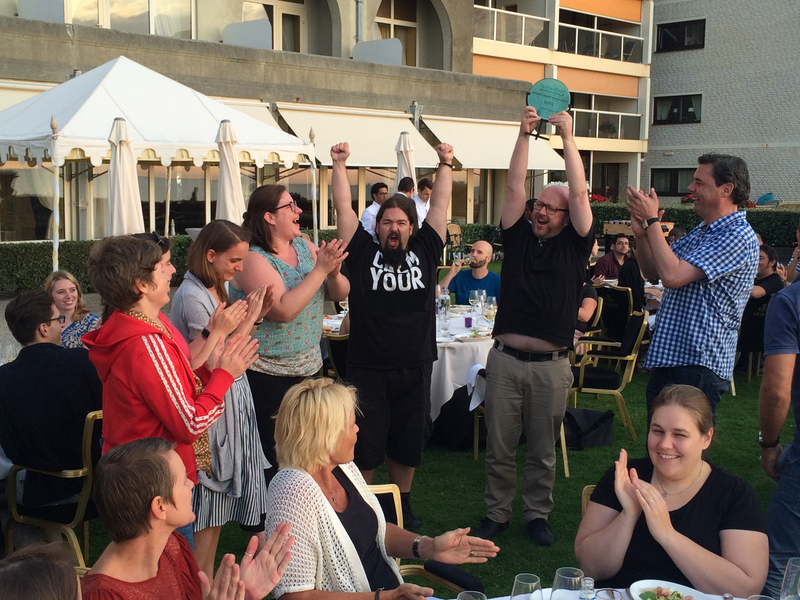 With over 400 attendees from 19 countries and a rating of 8.2 (on a 1–10 scale), it was a big success! The day ended in style with a Future Vintage party to properly celebrate Textkernel’s 15th birthday. With many new colleagues hired in 2016, the Textkernel team has expanded its capacity in terms of customer support and technological development. In order to attract even more candidates, we launched a brand new career website (textkernel.careers) dedicated to presenting our work, our people and life at the office. The staff currently counts more than 80 full-time employees and we are aiming to grow the Textkernel family to 120 colleagues by the end of 2017. 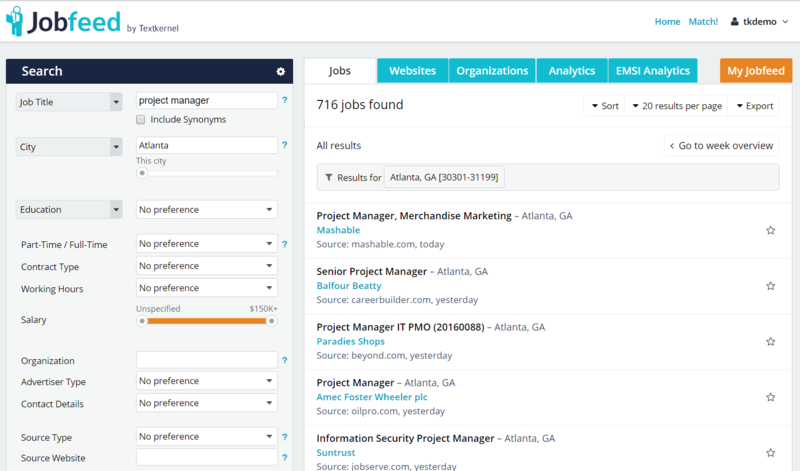 By being able to extract information from (internal or externally found) jobs and resumes and semantically match these two, Textkernel has developed the full technology stack to help HR and recruitment professionals to fill jobs faster. In addition to various improvements, Textkernel has also created several new features. Jobfeed, which got a new look and several new functionalities, was launched in the US and is already monitoring jobs published on more than 2 million websites in the United States. The R&D team recently introduced the Greek CV parser as part of our latest CV parsing release and our semantic search and matching software now supports external search within the CareerBuilder databases and sourcing candidates in Dice. Textkernel’s team is always engaged in R&D. In 2016, we spent time on research in Learning to Rank to improve match results, Deep Learning for categorising job titles, better job ad deduplication and building a knowledge graph with Textkernel’s ontology. Also, during our annual innovation week, the entire company spent a full week thinking outside the box. Working in groups several prototypes were developed, which shows the innovative spirit of the company. 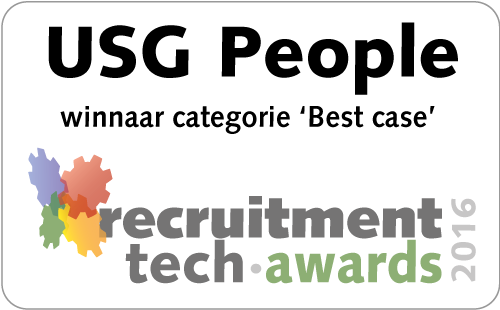 In November, Textkernel and USG People won the Recruitment Tech Award for Best Case. USG People created a searchable central database for all brands with Textkernel’s semantic search and matching technology. Not only did USG People change the mindset of recruiters about sharing candidates but they also realised efficiency improvements, a substantial cost reduction and a higher placement rate. We were also proud to have Steven Plehier, Director HR Transformation at Deloitte Consulting speak at several events about how Deloitte implemented Textkernel’s Apply-with widget in combination with semantic search and matching technology within Oracle Taleo to strategically build up talent pools that lead to efficient sourcing efforts. 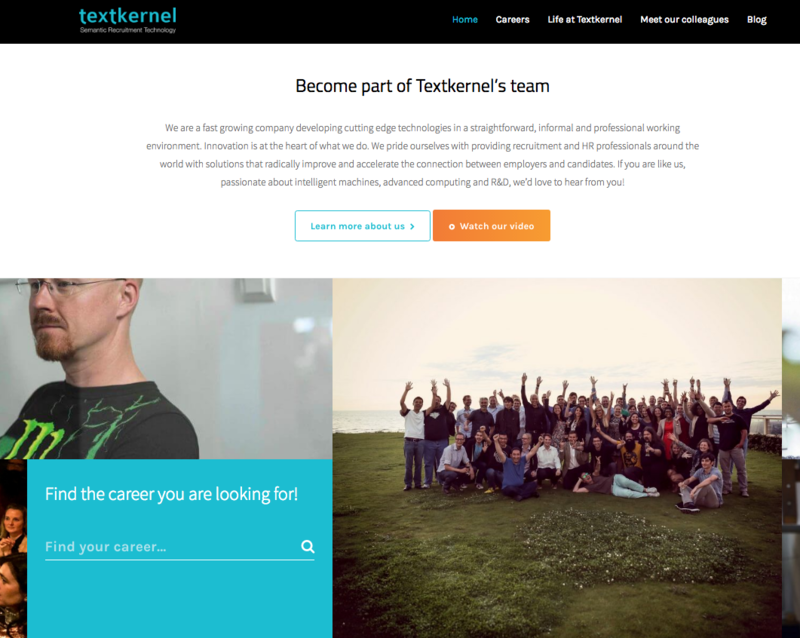 As part of our efforts to share more information about our technologies and what it’s like to work at Textkernel, we launched our blog at the beginning of the year. Our colleagues have published 18 articles since January describing their work and the personal and technical challenges it entails. Among the most popular posts of this year we find our study of animal-related expressions used in Dutch job descriptions, a thorough explanation of our use of elasticsearch and a look at what’s behind our CV parsing technology. Thank you for being part of our anniversary year! Finally, we would like to thank you, our customers, partners and friends, for your continued trust and being part of our amazing year. We are looking forward to a new year that will bring more opportunities to collaborate and work together.